The auctions at Amelia Island exposed emerging trends for collectible cars and set the tone for 2017 auction season. 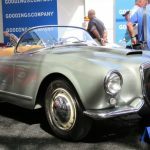 Phoenix, Ariz. (March 12, 2017) — As the events at Amelia Island come to an end, three trends have become readily apparent from the collector car auctions. After studying results from the five auctions that ran over three days, post-sale analysis reveals that the impact of younger enthusiasts and investors has begun to impact both vehicle selection for these sales as well as the overall collector car market, driving up values for vehicles that were not historically considered “blue chip investment” cars. Trends from Amelia Island auctions included booming prices for European exotics built in the ‘80s and ‘90s as well as a continued rise in prices for the Porsche market buoyed by the constant climb in price for air-cooled 911s, which also has created lift for earlier vehicles across the 356 vehicles and water-cooled vehicles like the 944 and 928. On a related note, the desire for Italian exotics amongst the younger set paired with historically high prices for Ferraris has begun to push the non-traditional Italian marque, like Lancia, Maserati and Fiat, to new highs. With Gen X-ers and Millennials now coming into money, the market has taken an interesting turn in regard to the supercars and sports cars of the 1980s and 1990s. This is often thought of as the “bedroom wall poster car” factor. This trend is especially evident in the markedly increased hammer prices for once unloved exotics such as the Ferrari Testarossa and the Lamborghini Countach. For example, a 1986 Lamborghini Countach LP5000 Quattrovalvole coupe sold at the Bonhams auction for $335,500, and was the third-highest selling vehicle at Bonhams. Just a few years ago, one could expect to pay well below $100,000 for a clean Testarossa, but these cars are now trading in the low to mid-six figure range and clean Countach models are selling for nearly half a million dollars. The third highest-selling vehicle for the weekend was a 1995 Ferrari F50 coupe that went for $2,392,500 at RM Sotheby’s. One trend that has been covered extensively is the meteoric rise of air-cooled Porsche 911 prices over the past five years, though something that has become more obvious is the rising tide effect this is having on all Porsches, in particular the 356 market and the market for front engine water-cooled cars such as the 944 Turbo and the 928. The market for the 356 in particular has been incredibly stable for the better part of a decade, but now that 911 fever have propelled the values of the other Porsches to untold heights, the smaller, less powerful 356 has become attractive to younger buyers. This was evident at the auctions with roughly 24 Porsche 356 models crossing the block across the five auctions. A 1964 Porsche 356 Carrera 2 coupe went for $517,000 and Gooding & Company. Mid-century Ferraris have always served as blue chip investments for those in the classic car community. Cars like the Ferrari 250 SWB, the Ferrari 275 GTB/4 or the Daytona have historically been reliable investments though the stratospheric prices that these cars command has made them inaccessible for nearly all collectors. 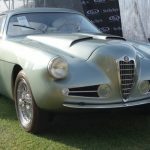 As a result of this, buyers are turning to alternative Italian marques such as Alfa Romeo, Fiat and Lancia. A 1962 Alfa Romeo Giulia went for $80,300 at Bonhams with prices only bound to rise. The availability of parts and marque specialists makes these cars particularly appealing to first-time classic buyers, for whom buying something from a more prestigious manufacturer might be intimidating. Lancias are also seeing an uptick in value, especially the now-legal Delta Integrale models which made such a splash on the world rally circuit in the 1980s. Even humble Fiats are generating interest from collectors, especially the V6 powered Fiat Dino coupes and convertibles as well as models from the 1950s. One of the best-selling Italian vehicles during the auctions was a 1936 Lancia Astura Series III Cabriolet selling for $2,145,000 at the RM Sotheby’s auction. The classic car collector market continues to change and grow in interesting ways. The average age of collectors is getting younger and the types of vehicles that are being thought of as collector cars is changing drastically and as a direct result the market is becoming more accessible to people shopping at a lower price point. While some see doom and gloom on the horizon, the future looks incredibly bright as more people get into the hobby and take it in unexpected directions. Founded in 2007 and headquartered in Phoenix, Arizona, ClassicCars.com is home to the industry’s largest community of collector car owners, buyers and enthusiasts. ClassicCars.com is devoted to helping owners sell classic vehicles online. Featuring more than 30,000 vehicles for sale by private sellers, auction houses, and specialty dealerships around the world, ClassicCars.com is home to the world’s largest online selection of classic and collector vehicles for sale. For more information, visit www.ClassicCars.com.